Python/C++ port of the ImageJ extension TurboReg/StackReg written by Philippe Thevenaz/EPFL. A python extension for the automatic alignment of a source image or a stack (movie) to a target image/reference frame. Scipion is an image processing framework for obtaining 3D models of macromolecular complexes using Electron Microscopy (3DEM). It integrates several software packages and presents a unified interface for both biologists and developers. Scipion allows you to execute workflows combining different software tools, while taking care of formats and conversions. Additionally, all steps are tracked and can be reproduced later on. Click on a block to know more about a tool. Non referenced tools are non clickable. 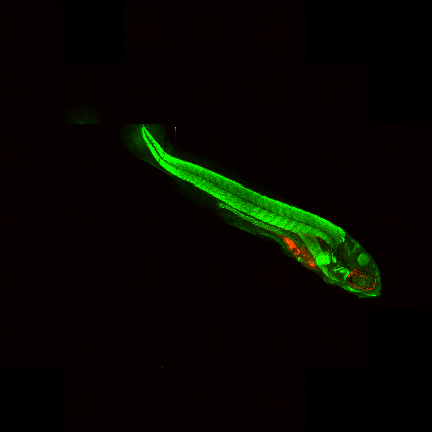 Normalize the orientation of the images of the Zebrafish embryos. In the documentation webpage, the aim of the workflow is to normalize the orientation of the images of the Zebrafish embryos, find the point of injection of tumor cells and measure the distribution of Cy3 stained tumor foci. 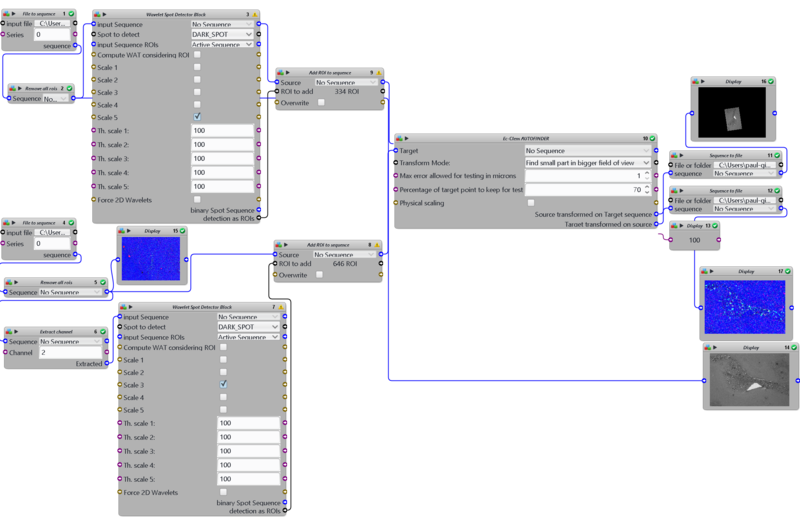 ImageJ macro implementation of the Workflow described in Ghotra et al (2012). Note that currently only the angle and orientation normalization is implemented in this version. Sample images are linked in the documentation webpage. IMOD is a set of image processing, modeling and display programs used for tomographic reconstruction and for 3D reconstruction of EM serial sections and optical sections. The package contains tools for assembling and aligning data within multiple types and sizes of image stacks, viewing 3-D data from any orientation, and modeling and display of the image files. Included are two programs with graphical interface: 3dmod, for displaying and segmenting 2D images and 3D volumes; etomo, for reconstructing tomographic volumes from tilt series of images. Processing can be distributed on multiple cores and executed in batch mode.